Arun Jaitley wanted the former prime minister to explain what transpired at the meeting and went on to defend Modi government’s track record of fighting terror. Terming the meeting as “political misadventure”, Jaitley wanted Singh and the Congress to explain the context of attending the dinner hosted by suspended party leader Mani Shankar Aiyar for Pakistani diplomats. He said the main Opposition party is expected to follow the national policy, which states that terror and talks cannot go hand-in-hand. “Is (the) main opposition party not part of the State?” he asked. Jaitley said that if anyone defies the national line, he should be prepared to answer questions. “It is a political misadventure, it has a political cost,” he said. Jaitley addressed a press conference hours after Singh asked the Prime Minister to apologise to the nation for setting a “dangerous precedent”. He wanted the former prime minister to explain what transpired at the meeting and went on to defend his government’s track record of fighting terror, saying no government in the past has a track record this government has in fighting terrorism. In response to Singh’s demand for apology, Jaitley further said people who have violated the national policy of talks and terror not going hand in hand should apologize. The BJP and Congress targetted each other ahead of the first phase of Gujarat elections, in which 89 of 182 seats go to polls on Saturday. The campaign trail in Gujarat heated up on Friday ahead of the first phase of polling in the state with Prime Minister Narendra Modi, the BJP’s star campaigner accusing Congress leader Mani Shankar Aiyar of issuing a “supari” (contract) in Pakistan to have him “removed”, even as Congress vice president Rahul Gandhi criticised the BJP for waiting till the 11th hour to release its manifesto. This time, opinion polls give the Congress anything between 37 and 85 seats, and the BJP 92-141. Modi, the former chief minister of Gujarat, has been leading the campaign from the front. He has spent much of the past week in the state, and is expected to spend the first part of the coming week (campaigning for the second phase, scheduled for December 14, ends on December 12) here too. BJP president Amit Shah has also camped in the state. The BJP is hoping its focus on Other Backward Classes (OBCs) who are worried that any quota for the Patidars will come at their expense, its track record in the state, superior planning and constituency management, and the Modi magic will see it through. Modi and the BJP have also been quick to latch on to missteps by the Congress. Earlier this week, Congress leader Kapil Sibal, appearing in the Ram Janambhoomi case in the Supreme Court asked for the hearing to be deferred till after the 2019 polls claiming that the outcome of the case could have significant implications on the 2019 parliamentary polls. There has been confusion over who he appeared for. And on Thursday, Congress leader Mani Shankar Aiyar called Modi “neech” or low class, prompting the Congress to suspend him from the primary membership of the party. The BJP has milked both to its advantage. Modi continued to do so on Friday, recalling a 2015 visit by Aiyar to Pakistan during which he had said in a talk show that relations between India and Pakistan would not improve until Modi was removed from the way. On Friday, the BJP released its so-called vision document or manifesto, promising a better deal for farmers, sops for people belonging to the Other Backward Classes, and better housing, health, and education for all, although it stopped well short of promising the quotas in jobs and educational institutions that the Congress has promised the Patidars. The BJP maintains that the Congress formula isn’t legally tenable (a Supreme Court judgment mandates that quotas must not cross the 50% mark). After a year of hammering the separatists in Jammu and Kashmir – killing more than 160 militants in targeted operations in 2017 alone and arresting at least 10 overground separatist leaders for their role in suspicious financial transactions – the Indian government is seeking to apply a balm. These are fairly standard tactics, but will they work? The answer depends on many factors, primarily the character of the movement. As of now, it is not clear what exactly Dineshwar Sharma’s role is in Jammu and Kashmir. Union minister Jitendra Singh pointedly said Sharma was not an interlocutor but merely “a special representative” of the government. Indeed, the October 24 notification appointing him described Sharma as a “representative of the government of India” whose task was to “carry forward the dialogue” with elected representatives, various organizations, and individuals. The day before, Home Minister Rajnath Singh spoke of Sharma as a “special representative” who would “have full freedom to engage in talks with anyone he likes”. At one level, it doesn’t really matter. “Interlocutor” was a word of convenience that fitted in the diverse collection of individuals and groups who have sought to work outside formal government structures to suggest solutions for the Kashmir problem. The way the government works, it does not really have to listen to anything such interlocutors tell it. Their role is strictly recommendatory and facilitative. For the record, there has been no dearth of interlocutors who were interested in promoting a political solution to the issues roiling Kashmir and who had access to the highest levels of government. Some were self-appointed well-meaning folk, others informally asked to do the needful, yet others who were formally appointed and laid out their recommendations in formal reports. The Jammu and Kashmir legislature, too, added its bit by examining the issue of autonomy and sending its recommendations to Delhi in 2000, only to have them rejected peremptorily. All had one thing in common – they were not the Government of India. At the end of the day, only the central government has the authority to take decisions on such matters. Yet, despite years and decades of reports, recommendations, cogitation, the government has not spelled out what it is willing to offer. 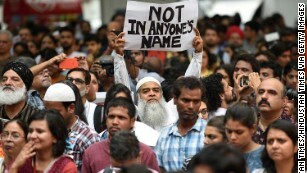 True, there have been statements by prime ministers that the “sky is the limit” when it comes to autonomy, or that the issue needs to resolved within the ambit of insaniyat, or humanity. 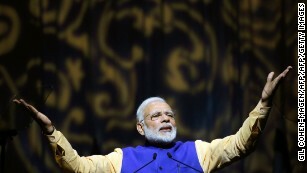 Most recently, Prime Minister Narendra Modi declared that Kashmir’s problems could not be resolved by bullets but “only by embracing its people”. But these are rhetorical statements that give no clues as to the Union Government’s bottom line. So what can we expect now? A great deal depends on what Modi wants. If the government has appointed Sharma to arrange the surrender of the separatist movement, nothing will happen. The Kashmiri insurgency is now nearly three decades old, having taken the lives of some 45,000 people, roughly half of them militants, 14,000 civilians and some 6,000 security personnel. The way the government sees it probably is that its policy of relentless police action and attrition has brought the militancy to its knees, and this is the best moment to step in with an offer of political dialogue. It is possible that the movement can be brought to a point of exhaustion by relentless police action. But it is like a fire where even embers can give life to a dying blaze if there is sufficient combustible material around. Parse that another way and one could argue that having been willing to shed so much blood, Kashmiris will not accept a settlement that offers them nothing more than status quo ante as of January 1, 1990. So, parse that another way and one could argue that has been willing to shed so much blood, Kashmiris will not accept a settlement that offers them nothing more than status quo ante as of January 1, 1990. In the government’s reckoning, it is really unemployed youth and the internet that is causing the problem and so if jobs can be assured and the internet kept in check, things will work out. Things are not that simple. Historically, Kashmiris buttressed by geography, have had a sense of their uniqueness. The circumstances of their accession and the commitment of a plebiscite made by India and endorsed by the United Nations remain. No country in the world recognizes Jammu and Kashmir to be a part of India; all see it as disputed territory, including our big friend the United States. Not many in India realize that the counter-insurgency in Jammu and Kashmir has been brutal. Extra-judicial killings, torture, and intimidation have been its constant features. And this for the last 30 years. So, on one hand, you have a hardened population and, on the other, an embittered one. Therefore, the political effort that you initiate must be thought through. Empty gestures are not going to mean much. Neither will they achieve the end you have in mind – the normalization of the situation. What needs to be adopted is a perspective that emphasizes reconciliation. That’s a carefully chosen word. A brutal struggle has gone on in Kashmir for the past 30 years. To wish it away or to pretend it did not happen is to live in an imaginary world. The more honorable and pragmatic path is to accept that things happened and are happening and that there is a need to overcome them through the process of dialogue, negotiation, and compromise. The alternative is repeated cycles of violence and alienation, with fits of political intervention that will not really get you anywhere. (Manoj Joshi is Distinguished Fellow, Observer Research Foundation, New Delhi). At Kashmir Observer we pride ourselves on being open, honest and unbiased. If you have noticed we haven’t put up a paywall, unlike many news organizations, – as we want to keep our journalism open. We believe journalism should be open, fearless and unbiased. Open information helps with informed decisions. Journalism takes a lot of time, money and hard work to produce, despite all the hardships we still do it, because we believe our perspective matters – because it might well be your perspective, too. Today more people are reading Kashmir Observer than ever, but only a handful are paying and advertising revenues across the media industry are falling fast. Ram Nath Kovind, center, gestures as he leaves his residence in New Delhi on June 20, 2017. 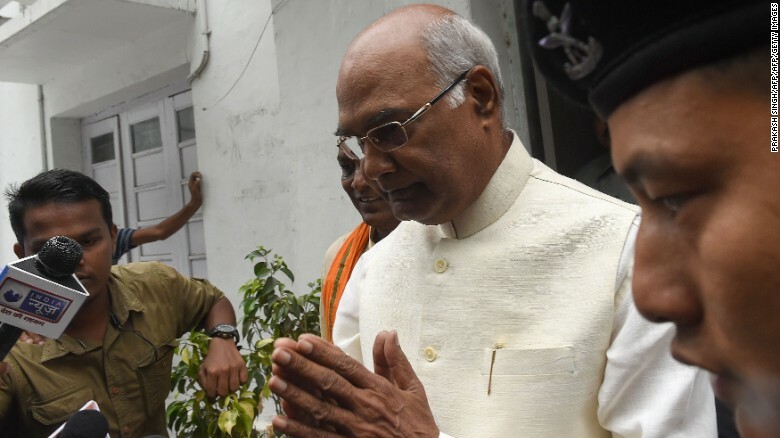 New Delhi (CNN) A relatively unknown political operator and member of India’s lowest Dalit caste has been elected as the country’s 14th president. Kovind secured 2,930 votes in a secret nationwide ballot involving near to 5,000 lawmakers from the central parliament and state legislatures. Kumar received 1,844 votes. 20 years ago and the present…always been a privilege to know you, President Elect. The election of 71-year-old Kovind, the ruling Bharatiya Janata Party (BJP) candidate, is widely viewed as part of a strategy by Prime Minister Narendra Modi to widen support among India’s 200 million-strong Dalit community. Kovind is the second Dalit to become Indian president, after K. R. Narayanan, in office from 1997 to 2002. Dalits, who are often referred to as untouchables, occupy the lowest rung on India’s caste system. Traditionally viewed as “impure” the group continues to grapple with persecution and exclusion. Kovind, a lawyer by training who has practiced in both the Delhi High Court and Supreme Court, has never held popularly elected office and lacks an independent power base. For the last two years he has occupied the governorship of Bihar, a position appointed by the prime minister. He also served as the national spokesman of the BJP between 2010 and 2012. 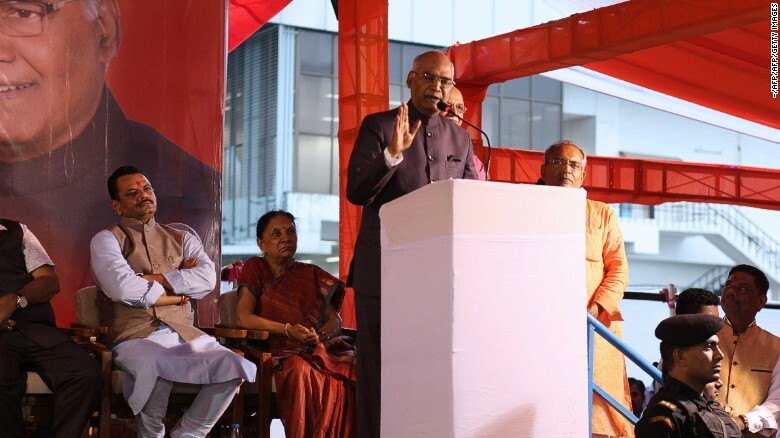 Ram Nath Kovind delivers a speech in presence of Gujarat Bhartiya Janta Party (BJP) members in Gandhinagar, on July 15, 2017. Though the five-year post is largely ceremonial, Kovind’s election will help strengthen Modi’s grip on power, say analysts. “Modi would not like anyone in Rashtrapati Bhavan (the President’s House) who can question him, that’s why Kovind was picked,” said Satish Misra, a senior fellow at the Observer Research Foundation, an independent think tank based in Delhi. Unlike the American president, and in line with other Westminster-style governments, the role of India’s president lacks any real executive authority. All decisions taken by the president require the approval of the prime minister and the council of ministers. However, each piece of legislation passed by parliament requires the president’s sign-off. As a result, the president can delay key legislation taken by the prime minister, and can symbolically signal disapproval of controversial bills. Having a compliant president will help Modi if parliament does not cooperate with his agenda. The prime minister can pass ordinances, similar to a US executive order, with the approval of the president, said Shailesh Kumar, a senior analyst with the Eurasia Group. Analysts point to the recent rise in mob violence directed at minorities as among the BJP’s primary motives in selecting Kovind. Kovind is also a member of the the Koli ethnic group, an important voting bloc in Modi’s home state of Gujarat. A survey by the Centre for Study of Developing Societiesfound that members of the Koli community, many of whom are Dalit, switched their support from the Congress Party to the BJP between 2007 and 2012. CNN’s Anish Gawande contributed reporting. 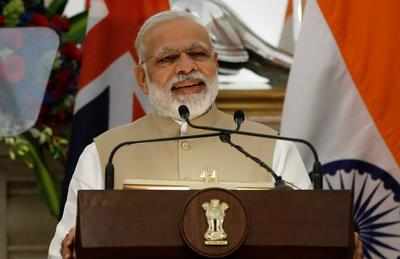 NEW DELHI: Prime Minister Narendra Modi‘s government got a big thumbs-up for its overall performance in the first three years of its tenure, according to an online survey conducted by timesofindia.com and its sister sites. 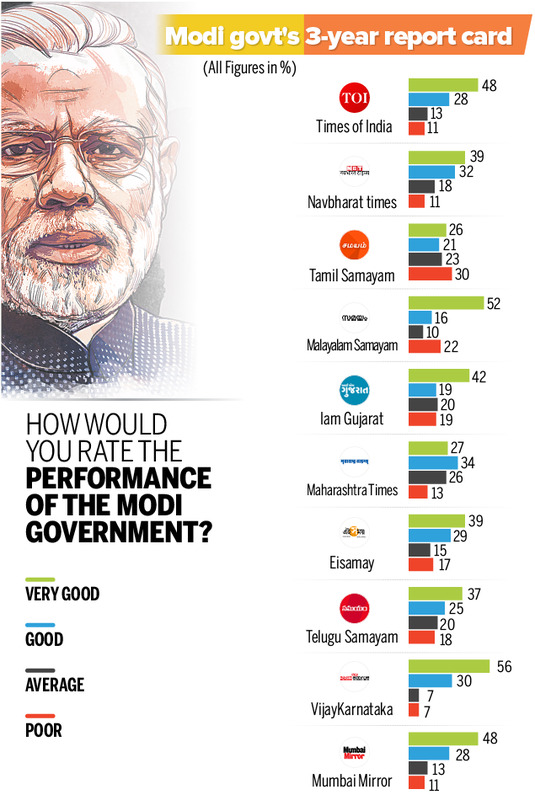 In timesofindia.com’s poll, a total 77% of respondents said they rated the Modi government’s performance as being ‘very good’ and ‘good’. That is, in response to the poll question ‘How would you rate the performance of the Modi government?’, 48% respondents voted ‘very good’ and 28% voted ‘good’. However, respondents on tamil.samayam.com weren’t as impressed with the BJP government’s performance, with a total of 53% choosing the options ‘Average’ or ‘Poor’. To this question too, tamil.samayam.com’s respondents voted differently. Close to 44% respondents here believed the Modi government would fare worse than it did in 2014, if Lok Sabha elections were to be held today. By and large, except for tamil.samayam.com’s respondents, it appears the reason people feel the BJP would equal or better its performance if elections were held today is the ‘Modi factor’ – the same one considered responsible for the party’s wins in recent polls. 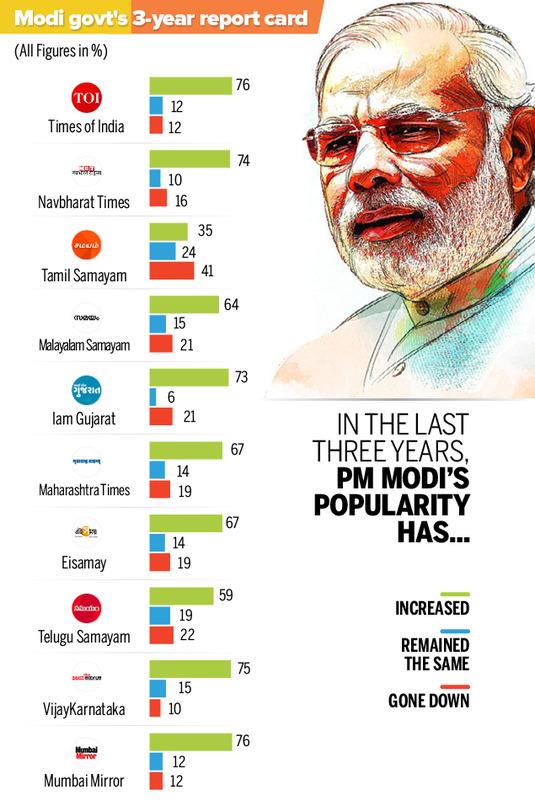 In timesofindia.com’s poll, 76% believed Modi’s popularity has increased in the last three years. However, respondents on tamil.samayam.com felt differently, with 41% of voters saying the PM’s popularity has decreased. Demonetisation and the passage of the Goods and Services Tax Bill were seen as the two most important decisions of the Modi government, with the former squeaking by the latter to make it to the top spot in timesofindia.com’s poll. The November 8 decision to ban Rs 500 and Rs 1,000 currency notes was seen as the Modi government’s most crucial decision by 37% of those who were surveyed in timesofindia.com’s poll. GST was considered the most crucial by 28% of those who answered the question in the same poll. Demonetisation, in fact, got a huge thumbs up among those surveyed bynavbharattimes.com , maharashtratimes.com, iamgujarat.com and vijaykarnataka.com. On these sites, more than 50% of respondents said the note ban was the most important move by the Modi government. 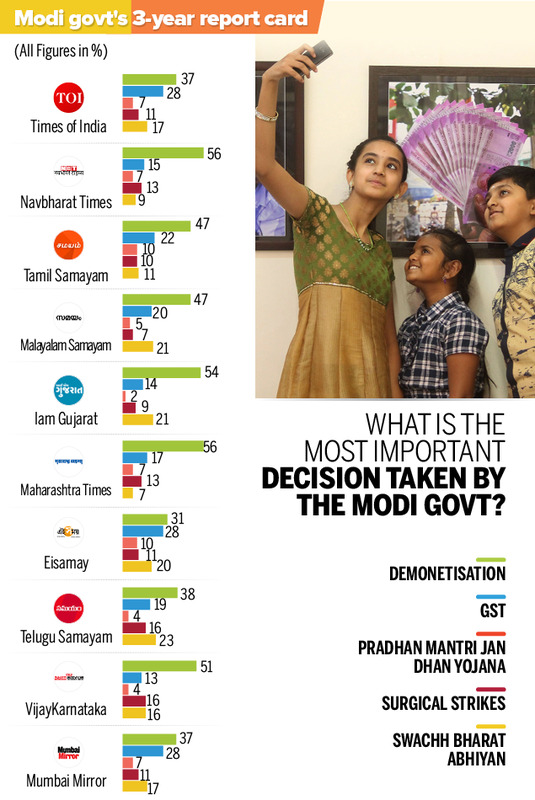 Interestingly, even though demonetisation – touted by PM Modi as a move to curb black money – was seen as the most important decision of the BJP government, timesofindia.com’s respondents were not as awed at overall efforts by the government to curb black money. A majority of respondents were satisfied, yes, but not by as large a margin. 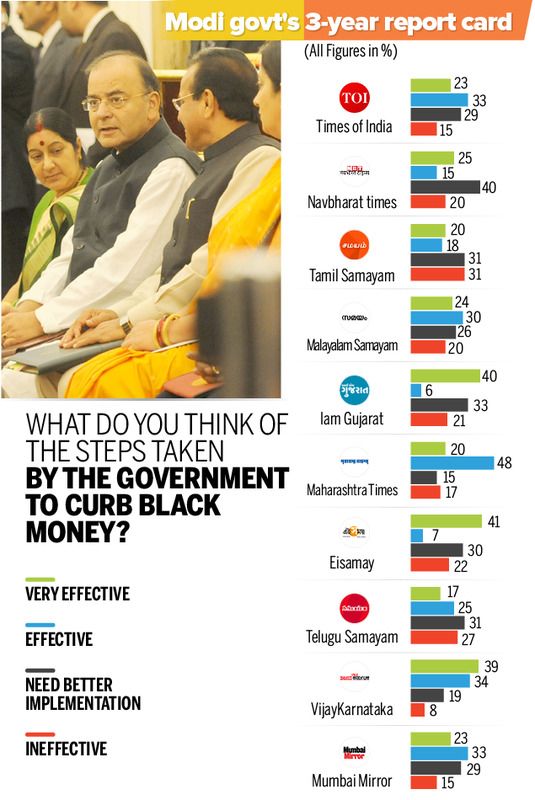 Of those who answered the question ‘What do you think of the steps taken by the government to curb black money?’ 56% voted ‘Very Effective’ and ‘Effective’, while the rest believed the steps ‘Need Better Implementation’ or are ‘Ineffective’, on timesofindia.com’s poll. Navbharattimes.com respondents though were underwhelmed by the Modi government’s efforts to curb black money. Close to a total 60% surveyed said these efforts ‘Need Better Implementation’ or are ‘Ineffective’. However, those surveyed on tamil.samayam.com and telegu.samayam.com believed the Modi government’s biggest failure has been ‘Improving Condition of Farmers’. As for tangible improvements to their individual lives, more than half of those who voted in timesofindia.com’s and most other polls felt that in the last three years their lives had improved. On this issue too, respondents on tamil.samayam.com and telegu.samayam.com differed, with most respondents saying their lives are the ‘Same as Before’. Finance minister Arun Jaitley said on Friday the recall of 500-and 1000-rupee notes will cause just three months of disruptions before yielding substantial benefits for the economy.In a year, he sees a bigger and cleaner economy with less paper currency, a wider tax base with lower rates, and more money in the banks resulting in cheaper loans. All of this will help the country’s ambition of becoming a modern and digital economy befitting its status as the world’s fastest growing major economy. “If you switch over from a particular way of life and conducting expenditure, there is disruption. But I do not see the disruption lasting long, maybe a quarter or so. But if you look at the next 12 or 15 months, the impact will be beneficial,” Jaitley said at the inaugural session of the Hindustan Times Leadership Summit in New Delhi. The government recalled 500-and 1,000-rupee notes on November 8, culling 86% of cash in circulation to purge the economy of illicit “black money” and fake bills. The move, said Jaitley, will prove a windfall in many ways. Banks, flush with money from new deposits, will be able to give social, infrastructure, industrial, and trade loans at lower rates. He, however, said the amount of new banknotes being released will not touch the November 8 level, and that will help the country along the path of becoming a digital economy. “The volume of formal trade and business will grow in size… What was normal in India? You go and buy a property, you pay some amount in cash, some in cheque. You start a trade, wholesale or retail, there is so much in kaccha khaata and so much in pucca. Do developed economies behave like this?” he argued in defence of the so-called demonetisation. He said the purging existing high-value notes strikes at the stock of black money. The flow part of it will be curbed by the goods and services tax, which, by establishing a transparent and uniform system of indirect taxes across the country, will prevent the generation of black money in trade and business. A next possible step, said Jaitley, could be to make political funding more transparent. “The current move will create a situation where political funding will become far more transparent. At the end of the day, donors will say, ‘Where do I bring this money from? The only donation I can give is legitimate cheque donation’”.